Frederick Nighthawk is an outstanding powerhouse pianist and vocalist playing an infectious blend of classic New Orleans rhythm and blues, Memphis soul, jump swing, and rockin’ Texas blues. He is also an accomplished Jazz pianist with a command of the great American songbook. Through his performances he has kept alive the flame of the blues, jazz, and barrelhouse piano. He will bring his professional and dynamic, high energy performance to your special event. Frederick Nighthawk is an extremely versatile, flexible performer able to accommodate most instrumentation needs from providing solo piano to a small ensemble. He has The Nighthawk Duo, The Nighthawk Trio, or expanding from his five-piece group, Frederick Nighthawk and The Southern Crescent Band to an eight-piece ensemble if desired. Also, when a more subdued mood is required, such as for a reception or for dining, he has put together a beautiful set of jazz standards along with his original instrumental compositions that will create the perfect background ambience for your event. He is reliable and easy to work with, and can help with song selections to enhance theme events, provide amplification for special speakers to make announcements, and play background music during breaks. Frederick Nighthawk has been at the forefront of the Americana roots music revolution for many years, and has toured and recorded with the best. He has been a sideman with Chuck Berry, Southern rocker Jimmy Van Zant. (Lynyrd Skynyrd family), Bluegrass great Peter Rowan, Grammy award winners Zydeco squeezebox man Al Rapone , and Tex Mex legend Flaco Jimenez. His seven CD releases on Red Mountain Records have met with critical acclaim, and have led to an ever increasing following in the San Francisco Bay area. 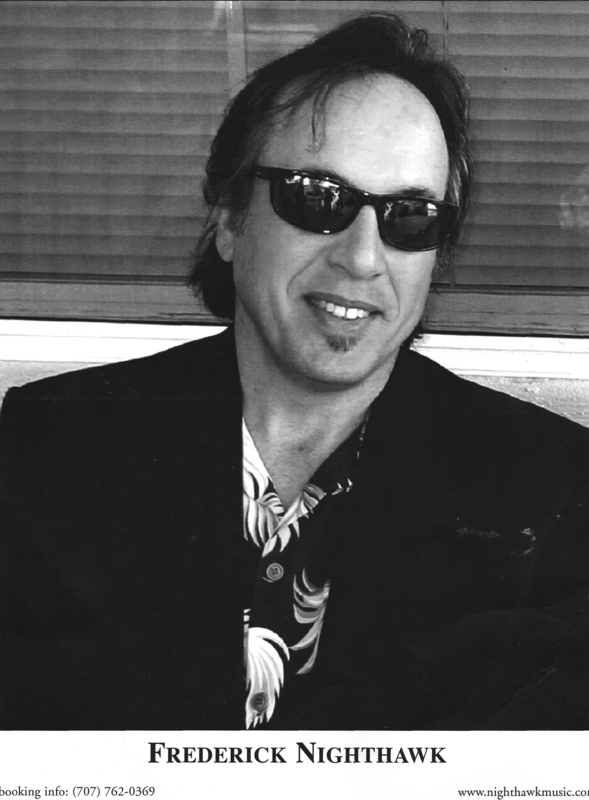 Frederick Nighthawk was a featured performer for four seasons (1999-2002) at the “New Orleans By The Bay” festival that was held each June at The Shoreline Amphitheatre in Mountain View, CA. He has appeared on the International stage at festival dates in Nice on the French Riviera. Nighthawk was a featured artist in Domaine Chandon’s 2003 spring and summer concert series in the Napa Valley, the 2005 “Blues and Jazz on the Plazz” summer concert series in Petaluma, CA, as a guest artist in solo performances at the historic Napa Valley Opera House, and opened the 2005 show for Little Feat at the Jackson Theatre in Santa Rosa, CA. From 2004 to 2008 Nighthawk was the house pianist at Meadowood in St. Helena, California. Starting in 2006 he became the full time house pianist at the Villagio Inn and Spa in Yountville, California delighting audiences with his eclectic song mix from the American songbook, New Orleans R&B, and his original solo piano compositions. In May of 2014 he finished his highly successful and popular eight year engagement at Villagio. 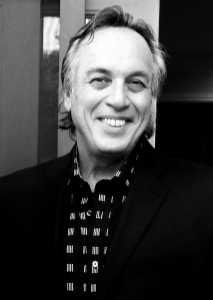 In 2005 and 2006, he was honored to join a stellar list of great pianists performing at the San Francisco Boogie Woogie Summits held at Jazz At Pearl’s. Frederick Nighthawk has had one of the longest running blues shows on the West Coast. He has been performing weekly at Mama’s Royal Café in Mill Valley, California for over twenty six years, rocking the house down with his barrelhouse, blues, and boogie piano. Frederick Nighthawk is one of most dynamic performers on the scene today, and would love to contribute to the success of your upcoming event. Thank you for your consideration.